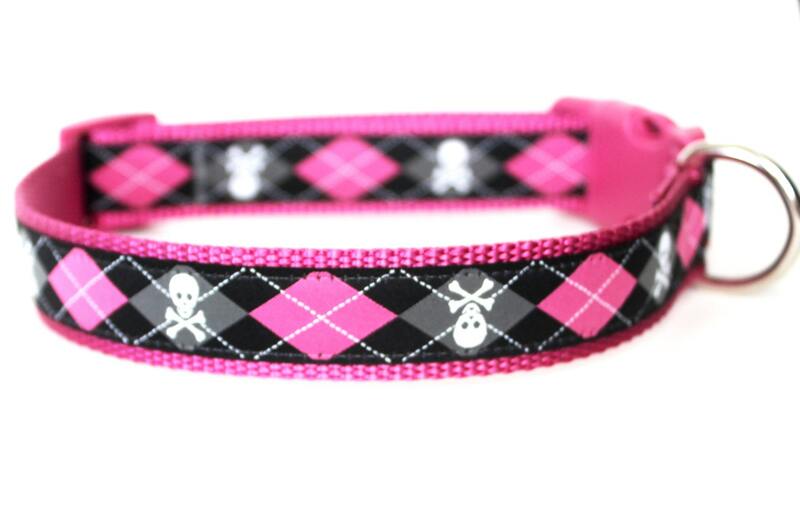 Pink Skulls and Argyle Dog Collar in 1 inch width. Preppy yet cool! 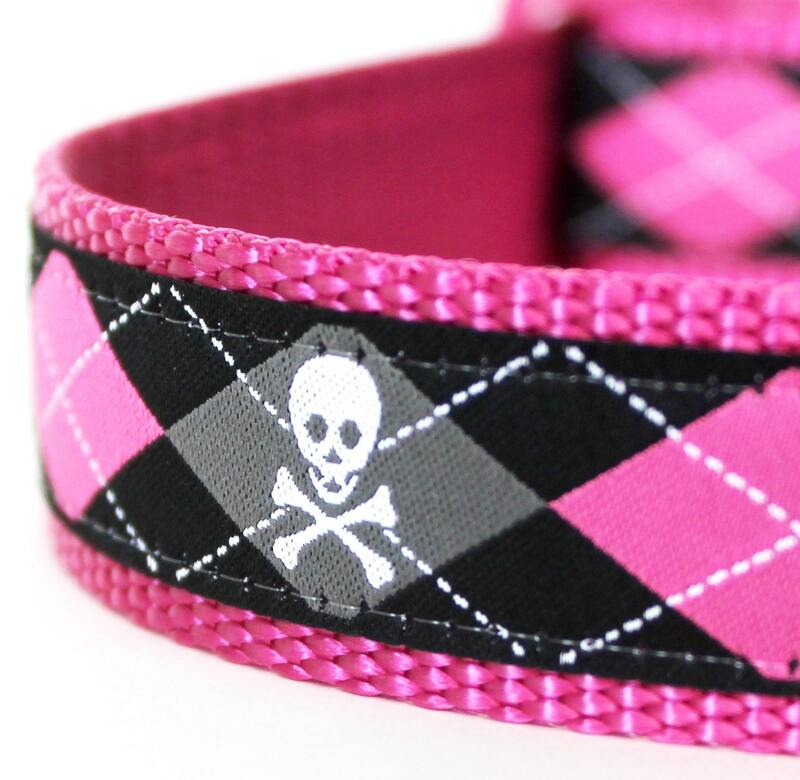 Love this German ribbon with argyle and skulls on a black background. Placed on a Raspberry heavyweight webbing. 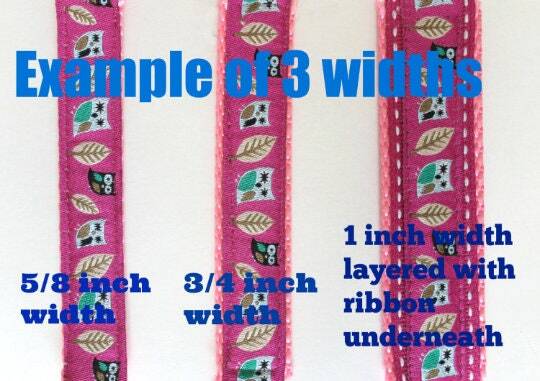 Due to it's width it can not be placed on 3/4 inch webbing. 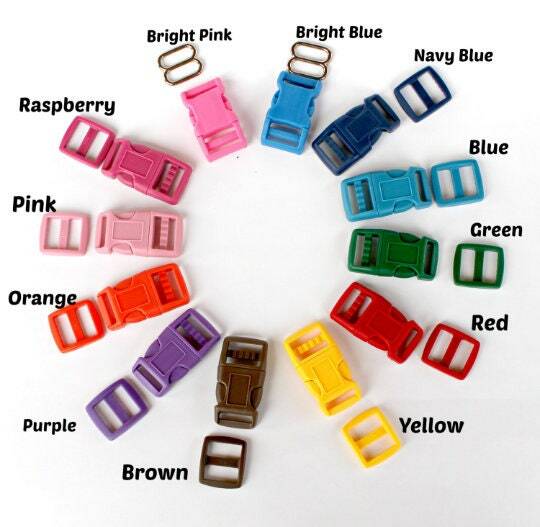 If you want a buckle color that is pictured, but not listed as an option, please put in notes to seller! **Please allow 5 to 7 days for production. * Color may vary per computer monitor. Please convo me if you need a larger size. This item will be lovingly handmade when you place your order. 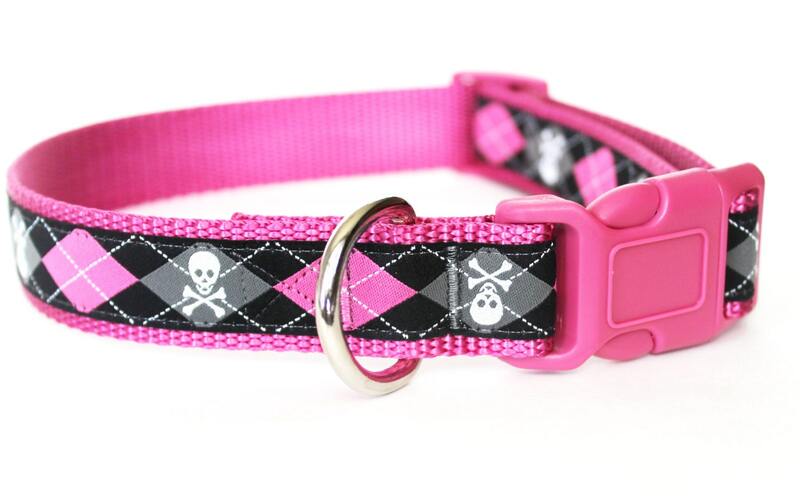 I know you want your pup's collar quickly but please allow 5 to 7 days before shipping. In many cases I can ship quickly. International orders please read my policies for shipping.